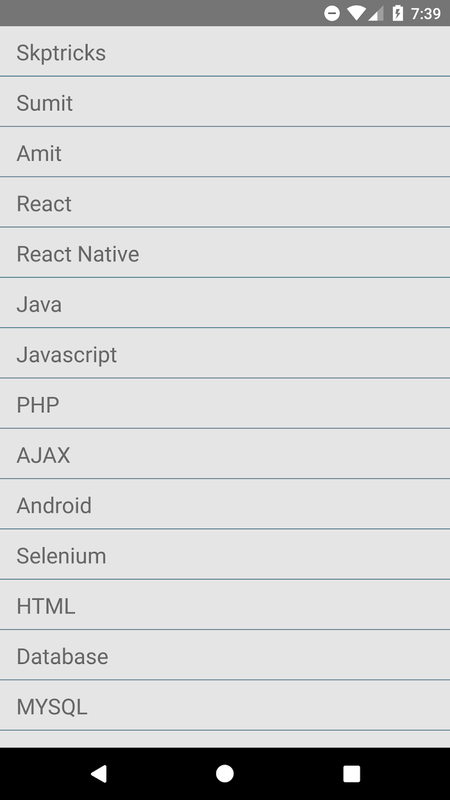 This tutorial explains how to use FlatList component in react native application and apply set onPress event on FlatList to get value from selected list item. 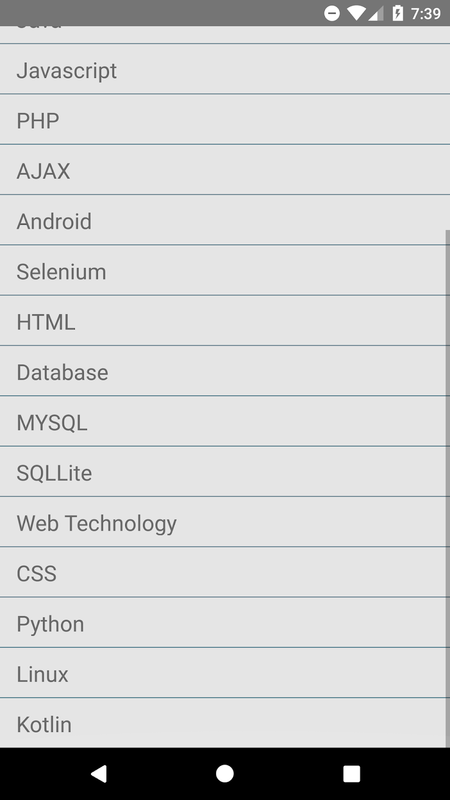 FlatList provides easy way to make an efficient scrolling list of data. FlatList - More performant compared to ListView. ListView rendering can get slow once the number of items grows larger. 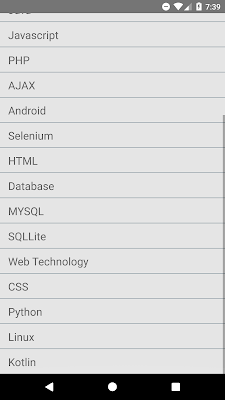 FlatList significantly improves memory usage and efficiency (especially for large or complex lists). In this example we are going to create simple FlatList layout, where we will display hard coded values from state and when user click on any of these list items, then it will display selected item in alert dialog box. 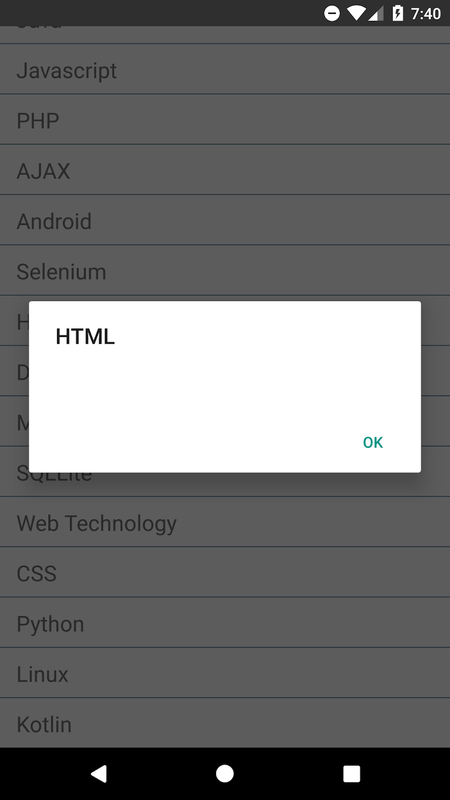 Lets follow the below steps to create Simple FlatList layout Component in React Native. Step-4 : Create constructor in your HomeActivity class with props parameter and Create super method with props parameter in constructor. Now using this.state we are defining the FlatList items array with key and Key should be added with items. Step-7 : Implement render method and return FlatList component wrapped by root View component. 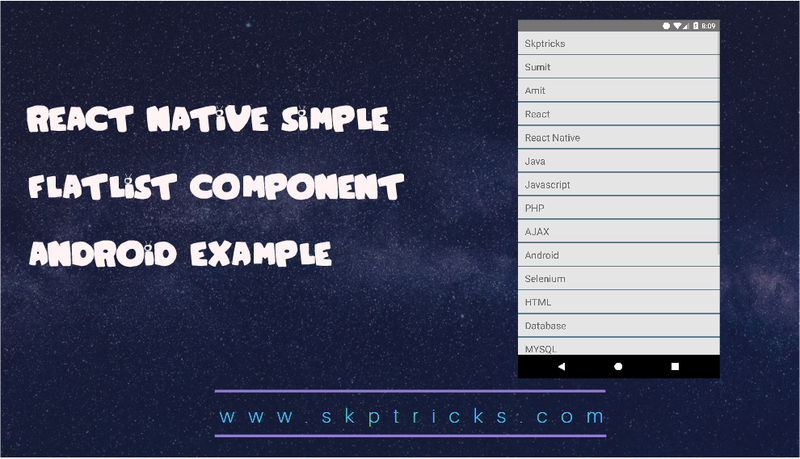 Specify the below parameters in FlatList component as props, that helps to form list layout.The basic key props that are necessary, while using FlatList component. Step-8 : Apply the below style sheet design. Lets see the complete source code that helps to create simple List layout design with the help of FlatList Component in react native application. 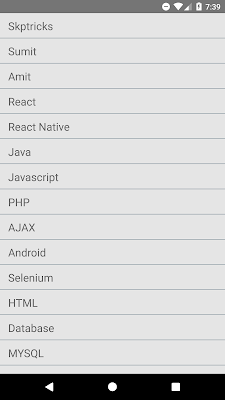 This is all about FlatList layout design in react native application. Thank you for reading this article, and if you have any problem, have a another better useful solution about this article, please write message in the comment section.